Leica Camera and its affiliate CW Sonderoptic are proud to congratulate the winners of the La Semaine de la Critique short film competition and recipient of the 'Leica Cine Discovery' prize for the second time in succession. “LOS DESHEREDADOS” by filmmaker Laura Ferrés was awarded the top honors by the jury and will receive the 4,000 euros prize. More about the film here. The ‘La Semaine de la Critique’ (taking place from 18 to 26 May 2017) focuses on the work of young and innovative filmmakers and is considered to be one of the world’s most influential film festivals. 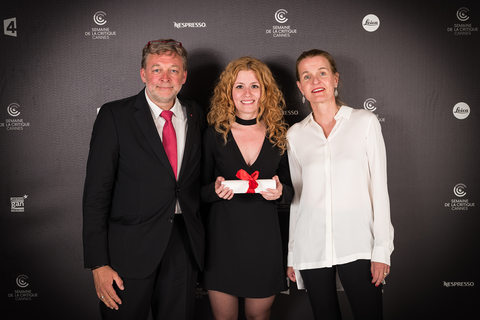 As in the previous year, Leica Camera AG and its affiliate, CW Sonderoptic GmbH, has been awarding the ‘Leica Cine Discovery Prize’ to express their commitment to supporting and promoting young talents. In the course of the festival, the two companies has beeen presenting the prize with a cash value of 4,000 euros to the best newcomer in the category ‘Short Film’ on 25 May 2017. ‘Following last year’s success, we are particularly pleased to be able to return to this year’s prestigious ‘La Semaine de la Critique’ film festival in the role of Official Partner 2017. The promotion and support of young talents in the fields of photography and moving pictures has always been close to our hearts. Awarding the ‘Leica Cine Discovery Prize’ to outstanding newcomers expresses our particular appreciation of their work’, explains Dr. Andreas Kaufmann, majority shareholder and chairman of the supervisory board of Leica Camera AG. You can find more information about the ‘La Semaine de la Critique’ here.